Good for your small intestines and for improving your immune system. Pure Glutamine with no harmful additives. 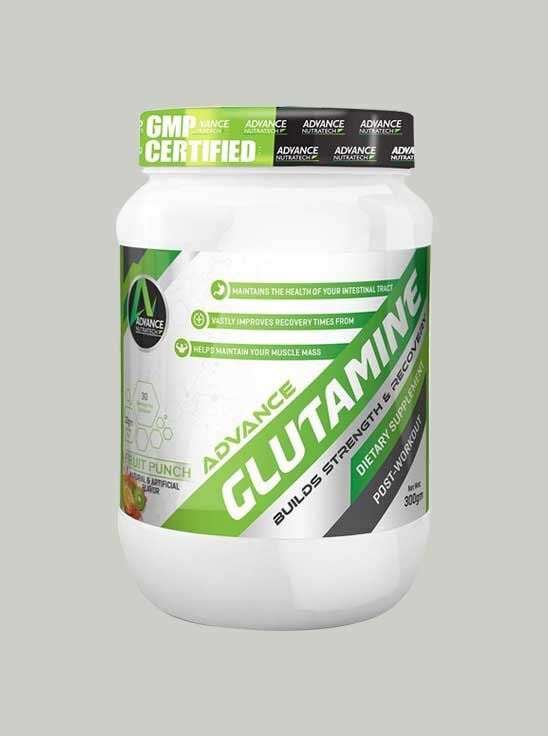 Per scoop of Advance Glutamine contains 5gm L-Glutamine. Glutamine is the most abundant amino acid (a building block for proteins) in the body and one of the best supplements for promoting recovery and lean muscle building. Strenuous exercise can lower glutamine levels causing stress to the body and immune system, but with proper glutamine supplementation you can help your body recover and rebuild faster. Advance Glutamine is an excellent post-workout amino supplement for recovery from a heavy workout. It helps relieve muscle soreness and revitalizes body for next session. It is also good for your small intestines as well as for improving your immune system. Advance Glutamine is a pure Glutamine with no harmful additives.